A short story long . . . .
From when I was young I liked to listen shortwave broadcasts on a old multi band shortwave receiver and especially the amateur radio transmissions. At the age of 14 came in contact with the CB radios through a few kids in my school class but due to puberty new interests (girls and computers) got greater priority. At age 16 I met OM Johan (PD0GFR later DO1GRF) who was also shared my interest in computers and in the years to come he became one of my best friends. Sometimes we made QSO's in his shack but most of the time we worked on computer projects. We lost track of each-other after he had moved to Germany (the change of address card had gone lost in the mail) but early 2008 we met again on a fair and made a few visits to each-other. But due work and family obligations from both sides the contacts got lost again. Late 2009 I had found out that he lost his battle against his sickness and Johan went SK in mid 2009. In 2012 I needed a new challenge to get me throw the autumn and winter and decided to start learning for my amateur radio Novice license. To support the training and getting more acquaint with amateur radio communication I also picking-up a old hobby of mine : DX listening. It is that DX listening without a good receiver is like building a house of cardboard, it may stay but with the first rains you may (or better you will) get disappointed. So to be on the save side I looked for a old communication receiver with a less as possible integrated circuits in it to get is far away from my daily work as possible (when people ask me what I do I say "I do some things with computers"). After a few weeks I found a used but reasonably priced Yaesu FRG-7700 communication receiver on http://www.marktplaats.nl/ . And after a short mail exchange with the owner I decided to take the change and bought it. A dissension which I don't regret until today and the FRG-7700 is still a active part of my shack. I logged various 80 and 40 meter amateur radio conversations from all over Europa incl a lot of the modern east-block countries and a few from east coast of the US. After a few months I updated a few things in the receiver and wanted to add spare parts to my stock. I started looking at markplaats again and found a other "deaf" FRG-7700 with memory module. Turned out I couldn't resist try to repair it. So I got 2 working FRG-7700 's at that moment. My first FRG-7700 is working 100% and my second now only got a instable memory board (so got something todo) but for the rest is working fine. 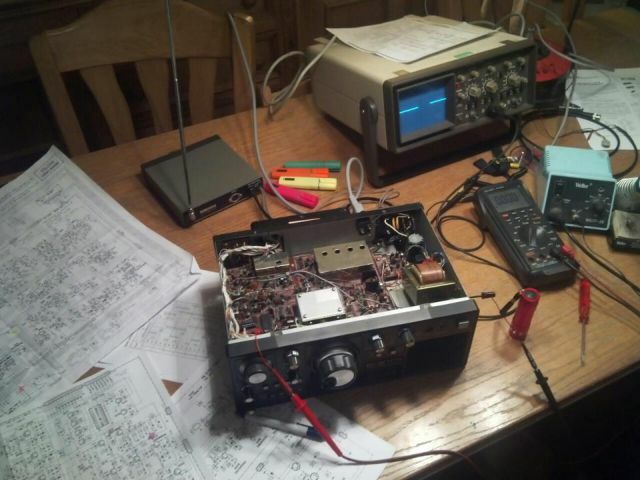 The amateur radio Novice license training was done at the begin of November, but I was to late for the last exam of 2012. So I had to wait for the next exam which was held on 6 March 2013 (the birthday of my daughter). The time between that I kept practicing my training exams and even started to learn for the F license. On 6 march 2013 I took the Novice exam and answered all the answers correctly and for that day we had 2 reasons to celebrate. And after 3 weeks all the paperwork was done and I'm was official registered novice ham-radio operator with the call Pappa Delta Two Lima Bravo (hmmm the Lima Bravo, where would that come from??). But having the license doesn't mean that you are all knowing, the difference between theory and real live is a big gap. One thing I did notice in the courses is there isn't as much focus on the operation procedures as I would have accepted (although, they ex-plane how to answer a QSO, call CQ, use the alphabet etc). 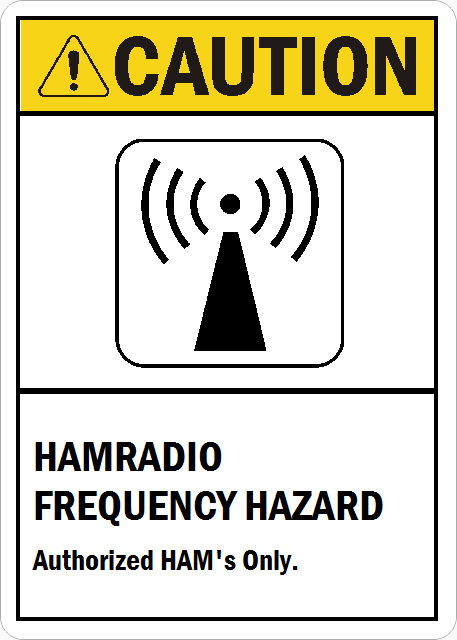 Soon after I got my novice call, I looked around for more information on Operation Procedures and found out that in the past there were special courses for it on various HamRadio club's. Unfortunately non of the clubs gave them any more, so I went looking for information to sell-study. A lot of info I found on the pages of ON4WW (http://www.on4ww.be/op.html) and on the website http://www.ham-operating-ethics.org/ the last, unfortunately offline now. But the ARRL still has the 2011 edition for the document online : http://www.arrl.org/files/file/DXCC/Eth-operating-EN-ARRL-CORR-JAN-2011.pdf (personal I think it's a must read and should be part of the Novice course). Already been training for the full license and being confident about my acquired knowledge I took the Full License exam on 6 November 2013 and with just 7 errors on the 50 questions I pasted it. On 22 november the Agentschap Telecom processed it, confirm the result and grand the new status. Allowing me to choose my new full license call : Pappa Hotel Two Lima Bravo. Having a Full License doesn't mean I'm finished studying. There is one thing I always found magical about HamRadio, the dit's and dah's you hear on the lower parts of the bands. So when I have time, I'm training listening morsecode by the Koch method and there is a little progress on that part (training at 25wpm is like hell, but why make it easy). The computer in the shack I use for PSK31 and other digital modes, which I like to use for QRP DX. When you spot me, please send me a screenshot of my signal to let mee see how it looks out there. I'm allways try to keep it clean as possible. I prefer QSL card exchange by the bureau. But QSL-cards received by postal mail is also ok, they will be answered by postal mail. It isn't necessary to add IRCs or money for return postage. So where other hams warned me about is actualy true. 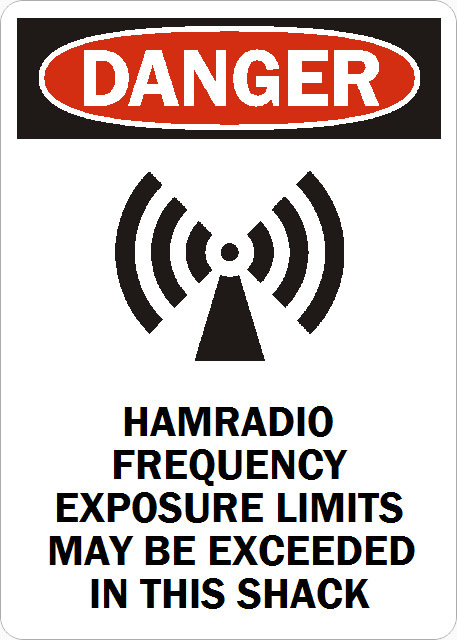 HamRadio is a addiction and distance and technology is the drugs that keep it running.